It was recently James' 1st birthday party, and I managed to get a photo of the "cousins"
James will be a big brother in March next year, and Grace (right) will be a big sister in about 6 weeks. Can't wait for the photos with the new kidlets. 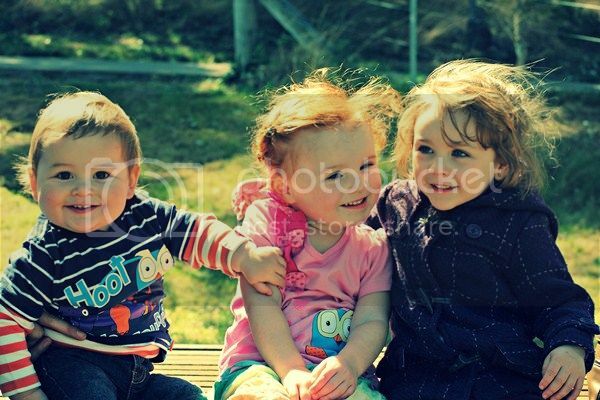 I love this photo, they all adore each other and have a great time when they get to spend time together.